Cape Town - National Treasury on Saturday in a short statement responded to President Jacob Zuma's announcement of fee free tertiary education for most SA students, saying it "notes the announcement" and was reviewing funding proposals. Earlier on Saturday Zuma announced that the government would subsidise free higher education for poor and working class students. He said the definition of poor and working class students would include those "currently enrolled TVET Colleges, or university students from South African households with a combined annual income of up to R350 000" for the 2018 academic year. Treasury's statement, which was only three sentences strong, did not explicitly welcome or criticise the announcement. "National Treasury notes the announcement by the Presidency this morning and is in the process of reviewing the details of the higher education proposals, as well as possible financing options," it said. "The proposal will also be considered by the Ministers' Committee on the Budget and the Presidential Fiscal Committee. Any amendments to existing spending and tax proposals will be announced at the time of the 2018 Budget." Treasury did not immediately reply to a request for comment on whether it supported the move by Zuma. 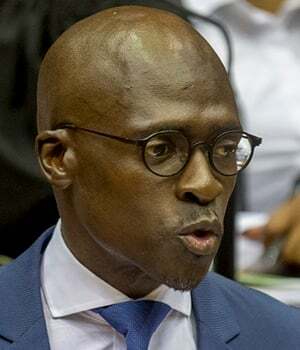 Speaking to journalists after the announcement on Saturday, Finance Minister Malusi Gigaba said Treasury would provide details on how it would fund the free education during the 2018 Budget. “At the budget we will make an announcement on how we are going to deal with this issue, he said. “We have indicated that we are going to complete our fiscal consolidation programme in terms of which will be announced in the budget including outlining ways of funding fee free higher education in a fiscally sustainable manner,” he emphasised. Treasury is already facing a shortfall due to lower than expected tax revenues. During his inaugural mini budget in October, Gigaba announced "due to lower than expected economic growth this year, gross tax revenue for 2017/18 is projected to be R50.8bn lower than projected." A number of figures have been proposed for costing the impact of fee free education on the SA fiscus. The Davis Tax Committee in mid-November estimated that, at a conservative estimate, it would cost an additional R60bn to fund all SA university students for one year. The committee's report dealt only with universities, and did not include TVET (Technical Vocational Education and Training) colleges and other forms of education. The SA Institute of Race Relations, meanwhile, in a 2015 report estimated that if higher education was to be funded solely through taxpayer subsidies then it would cost the SA fiscus an additional R71-billion.